Little angel and friends. 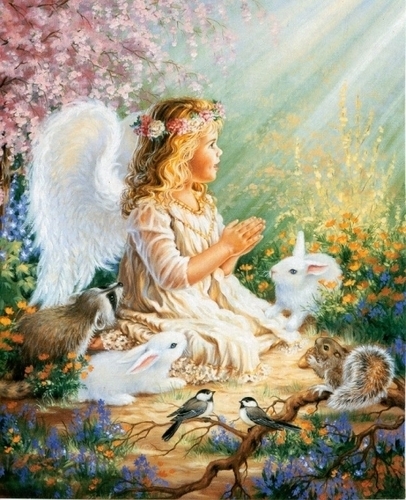 A little angel surrounded por her woodland friends por Dona Geslinger.. Wallpaper and background images in the anjos club tagged: angel little angel child angel bunnies rabbit squirrel raccoon dona gelsinger. This anjos photo might contain buquê, corpete, posy, nosegay, corsage, ramo, rua, cena da cidade, ajuste urbano, cenário urbano, cena de rua, cidade, and urbana definindo.